What Are the Best Daily Exercises to Lose Weight? Everyone knows how important exercise is to one’s overall health. Unfortunately, so many people give up on their exercise goals when they don’t see results right away. It’s important to remember that weight loss takes time. If you want to reach your weight loss goals, make sure that you’re participating in a fitness training program in Phoenix, AZ, that incorporates the following exercises. Oh, the good old lunges. Not many people particularly care for lunges but they’re a great way to burn a lot of calories at once. That’s because lunges incorporate several muscles at one time, the quads, glutes, and hamstrings. Any knowledgeable fitness trainer in Phoenix, AZ, will always include lunges in a workout routine. For an added bonus, ask about explosive lunges to add some additional dynamic movement into your routine. Burpees are a compound exercise that uses several muscles groups at once. Unlike lunges, burpees use muscles throughout the entire body. If you’re looking for a way to add max calorie bursts to your workout, include several rounds of burpees. Not only will you up your cardio game, but you’ll strengthen your core, chest, arms, and back. When done correctly, squats are a great low-impact way to get you sweating and shedding pounds. Any fitness center in Phoenix, AZ, that doesn’t offer an exercises class that includes squats is one you don’t want to join. Squats tone your backside and your legs. They’re a great exercise for people who want results, but don’t want to jump up and down doing high-impact cardio. If you don’t mind high-impact exercise, you could add a jump squat to your routine for even greater results. As mentioned in the previous section, not everyone is looking for high-impact cardio. If burpees are too jarring for your body, consider adding mountain climbers to your routine. Mountain climbers build strength throughout your entire body. They are essentially a core exercise that burns massive calories. 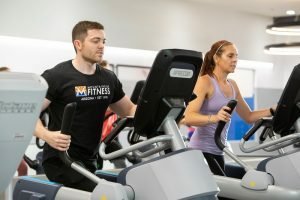 When you’re looking for a fitness center near Phoenix, AZ, ask for a personal fitness trainer to show you how to do this beneficial exercise correctly. There isn’t a fitness center in the Phoenix, AZ Valley that doesn’t offer some form of Tabata training. 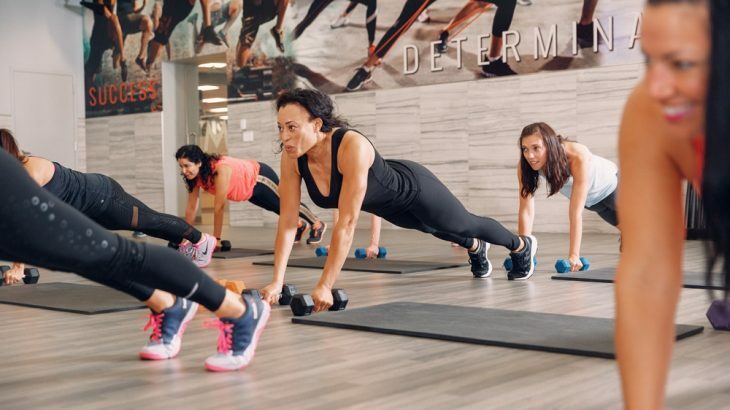 Tabata is a high-intensity interval training (HIIT) that includes short bursts of high energy exercise (20 seconds) followed by a short cooldown (10 seconds). This sequence is repeated for several minutes per exercise for a complete session that lasts up to 20 minutes or longer. When done several times a week, Tabata training is found to be highly effective and one of the best ways to burn fat fast. If you’re interested in HIIT training, make sure that you ease yourself into the routine. It’s an intense routine that can be unhealthy if you don’t take it at your pace. Eventually, you’ll become the beast that Tabata training creates. If you want to get in shape fast, hit the fitness center regularly, at least 3-4 times a week, if not daily. Contact Mountainside Fitness for a great fitness training program in Phoenix, AZ.